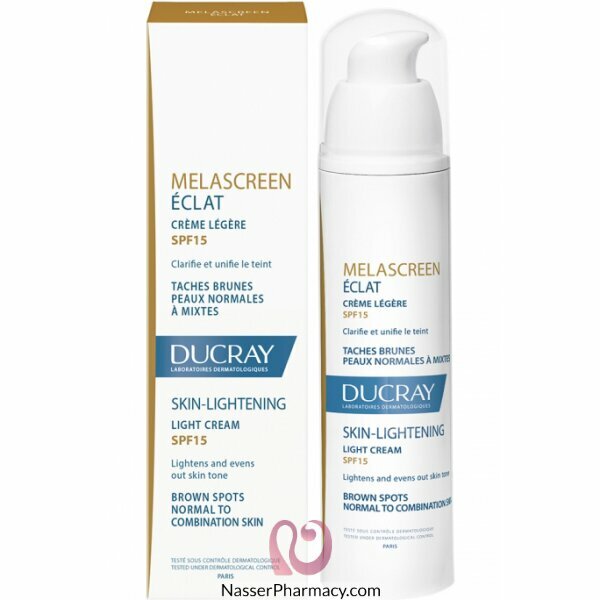 Melascreen Eclat lightens and evens the complexion, in particular in case of irregular pigmentation. The skin' radiance is restored. Its fluid and moisturising texture, enriched in mattifying and absorbing powders, constitutes an excellent make-up base. This care also contains photo protective filters, which ensure a SPF15 protection against brown spots. Apply morning and/or evening to the whole face, neck and back of the hands.